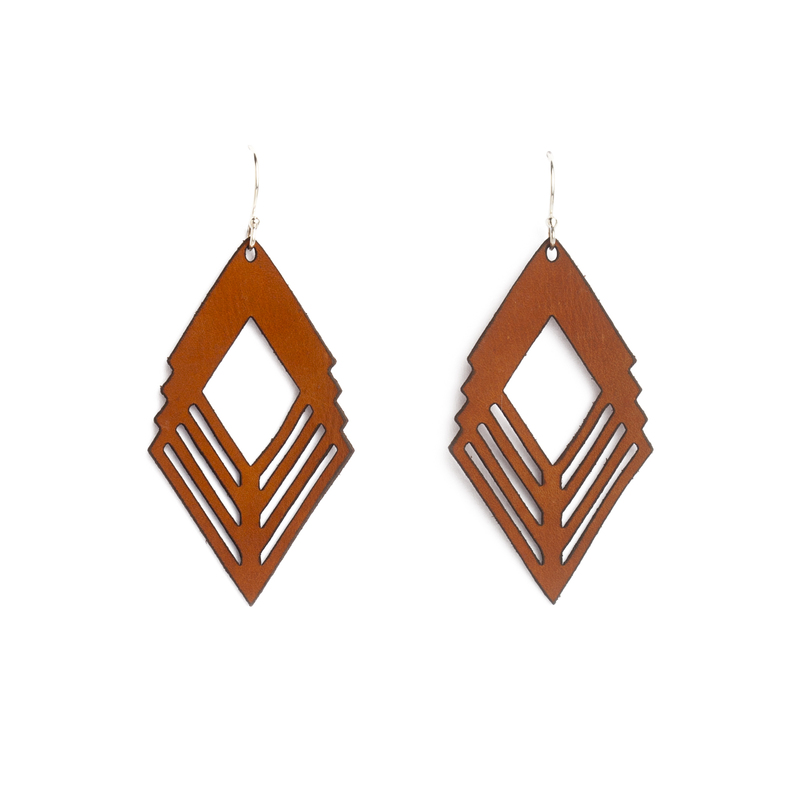 These geometric style diamond earrings are laser cut from genuine South African leather. 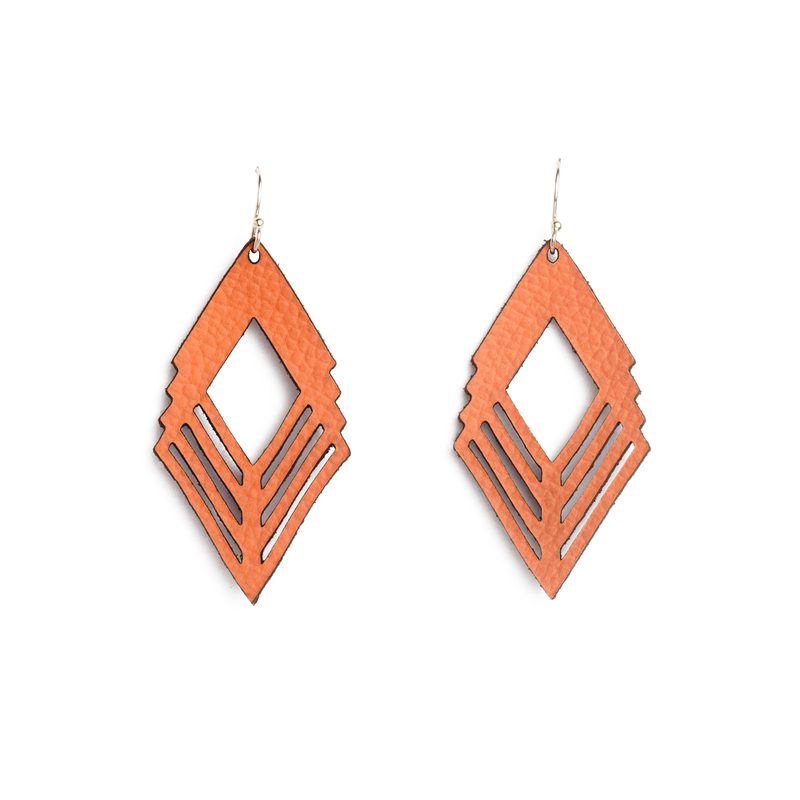 All earrings cut from beautiful South African textured leather. The Diamond earrings are hung on sterling silver hooks and measure 7cm from top of the hook to bottom of the earring. They are 3cm wide. 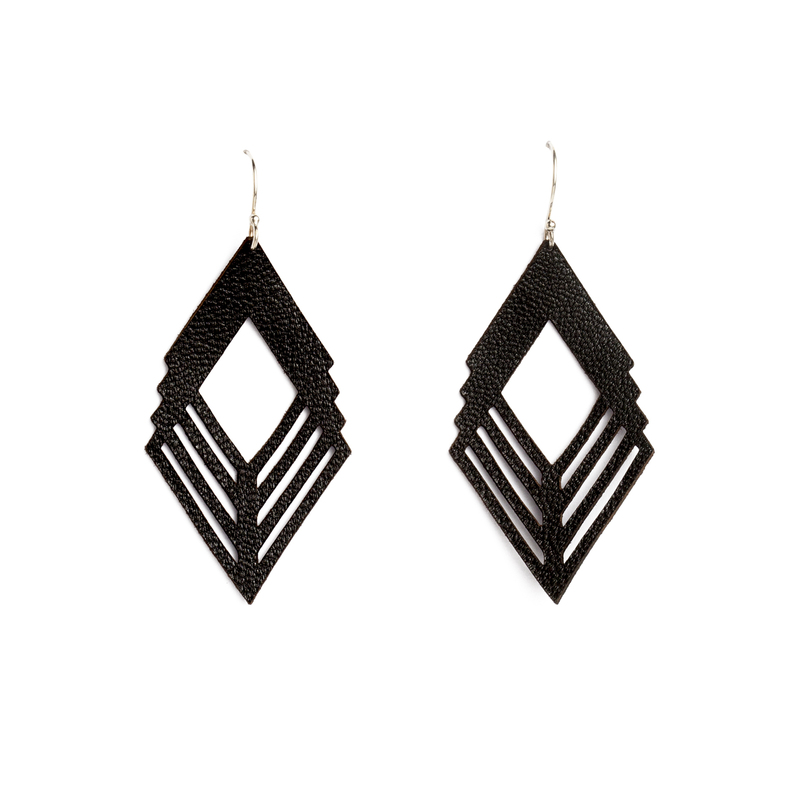 Notify me when Black Diamond Leather Earrings is available.